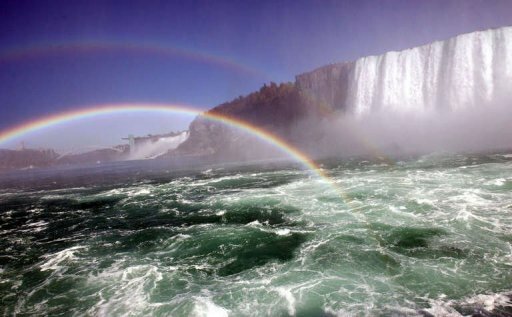 The human torso found at the foot of the Niagara Falls last month belonged to an American woman who lived near the Rainbow Bridge linking the United States and Canada, police said. The headless torso was found on August 29. Passersby had spotted the torso floating on the lower Niagara River, near the Rainbow Bridge. The limbs and head had been severed. DNA tests helped police identify the victim as Loretta Jo Gates, 30. Police said they were investigating the crime as a homicide. She had disappeared on August 25 from the US city of Niagara Falls, the Niagara Regional Police Service said. US and Canadian police are investigating the crime jointly. The victim was named just a day after police identified another torso found in a suitcase in Lake Ontario, saying it belonged to 41-year-old Liu Guanghua, a Chinese Canadian woman. Liu disappeared on August 11. Four days later, her right foot was found in a creek in a Toronto suburb. Her head, hands, calves, one of her thighs and one of her arms were subsequently discovered in Canada’s largest city. The woman’s estranged boyfriend has been arrested in connection with the killing. The murders are part of a string of grisly dismemberment cases that has hit Canada in recent months. He is accused of carving up the victim’s body, sexually abusing the corpse and filming the act, before posting a video of the killing online. Magnotta’s trial is expected to begin next year.